Jessying - Malaysia Beauty Blog - Skin Care reviews, Make Up reviews and latest beauty news in town! 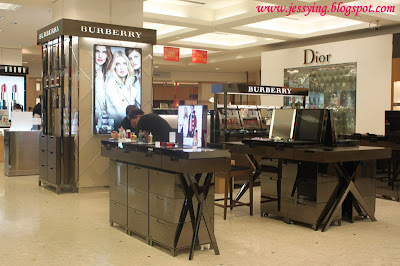 : First Burberry Cosmetics is opened in Isetan KLCC Malaysia !! 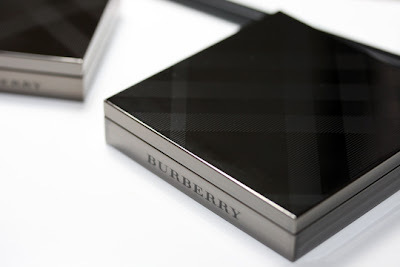 First Burberry Cosmetics is opened in Isetan KLCC Malaysia !! Last night I went to Isetan KLCC to spy Burberry counter ( which took over previous Shu Uemura's counter) after my beauty spy told me that today the counter are opened! So I went after work to check out what Burberry is offering! I guess I am the first person who try the products on the counter as the product are still so new! Not only their packaging is gorgeous, the quality seems promising ! The eyeshadow colors are pigmented to my surprise! Their blusher are very pigmented with just 1 swipe and I instantly fall in love with it ! The lipstick seems moisturizing too and have gorgeous colors range! Also having promotion currently is purchase RM300 and above and get a limited edition charm that comes with lipgloss. This charm (without lipgloss) also currently being sold at the store too! And Burberry Cosmetics Malaysia is flying is a International Makeup Artist from London to do makeover for customers. Time to check this out girls, I am sure you girls will be drooling either over the packaging or the quality or both! Oh My! I need to go visit this counter. Would you know the updated price especially the lipstick and blushers?